MJ Gabel is pleased to share the following article from Alexandra Eva-May, the founder of The Splendid Path and highly a highly respected writer, teacher, motivator and more. After a break-up or divorce, deciding what to keep and what to sell or give away can be a very daunting task. We develop strong emotional attachments to items, especially to the things we receive from our partners or spouses during relationships and marriages. Jewelry can be especially significant and sentimental. At this time, it’s important to start letting go. It Keeps You Trapped in the Past – Hanging onto jewelry you received during a relationship keeps you emotionally and mentally tied to that relationship and to that person. If you’re still wearing jewelry from a past relationship, memories will haunt your mind way more often. Even if the ring is tucked away in a drawer and you barely see it or think about it, it’s very possible that when you do eventually look at the piece, you will be reminded of that person and reminded of the times you shared. Whether happy or painful, these memories will make it difficult for you to move on with your life. It’s No Longer Your Style and you aren’t wearing it – Does your jewelry still fit your style? Do you even still wear it? Possibly when you received the piece, you loved yellow gold and solitaire-style, and now you drool over white-gold and halo-style. Maybe you were more of a traditionalist many years ago and now you love everything modern and sleek. If it’s no longer your style, you’re probably not wearing it and the piece is just collecting dust somewhere. If your jewelry no longer appeals to you, you should get rid of it to make room for beautiful new pieces! A Cluttered Space is a Cluttered Mind – Any piece of jewelry that you don’t wear is clutter. We tie a lot of thoughts and emotions to items. There is a large amount of mental space and emotional energy that is used-up when we keep items that are connected to hurt from our past. The more you declutter your space, the more room you free up physically, emotionally and mentally in yourself. Clutter can also become overwhelming and cause anxiety, stress and worry. After a break-up or divorce, when you re-evaluate your things (specifically your jewelry), you might find yourself thinking, “How am I going to part with this? Where do I start? How am I going to let-go? What do I do with everything?” These thoughts can start to take over and cause a lot of anxiety. When you part with jewelry, you are contributing to your decluttering process, making it easier for you to continue to part with anything that no longer serves you. The Financial Benefit – Have you bought yourself anything special lately? Self-care is so important when you are healing after the end of a relationship or post-divorce. One component of self-care is treating yourself with kindness and doing nice things for yourself. Maybe it’s time for a new wardrobe or those super expensive boots you’ve been eyeing. Maybe you’re ready to buy a new home and decorate it exactly as you want. Possibly, you’ve always dreamed of traveling to Europe but were never able to afford the trip. Whatever you’ve been withholding from yourself is now much more possible if you sell your jewelry and make some extra money. Keep in mind that when you are looking for places to sell your jewelry, make sure you do your due-diligence! 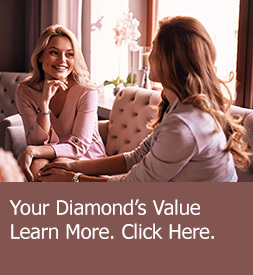 There are many companies out there that will happily take your jewelry, but it is critical to work with one who has your best interest in mind. One great company that makes clients their absolute priority is MJ Gabel. They are advisors & trustees of fine jewelry, and as a globally recognized firm are able to get you the absolute best price for your jewelry pieces. More on this at the end of the article! It Will Help You Move Forward – A break-up or divorce is never easy! There are many difficult steps and the healing process can be long and painful. Selling jewelry you received from an ex is an important step to help you heal and move forward with your life. By ridding yourself of things that keep you tied to your past, you are making room in your life for new people and items. It’s time to look forward and enter your next chapter with an open mind and an open heart. The space you create by selling your jewelry is space that will be filled by many new adventures, experiences and things. Do yourself a favor and part with jewelry that keeps you tied to your past. It’s time! If you are looking to part with your jewelry, make sure you take the time to find a reputable and reliable company to help with the process. One company that has a stellar online reputation, and sticks out among the pack, is MJ Gabel. The company has a home-base in Upstate New York, but has a wide reach and can put your jewelry pieces in front of an international audience. They also provide more than one option when it comes to selling, so it really allows you to make the choice that fits best for you. If selling your jewelry for any of the above reasons is something you’re considering, give them a try – www.mjgabel.com or to reach someone directly, 585-598-1090. It can’t hurt to just have a phone call! Alexandra Eva-May is the founder of The Splendid Path; blogger; teacher; motivator; mental health advocate; and speaker. She is a wellness warrior who blogs about self-care, relationships, and healing following divorce.